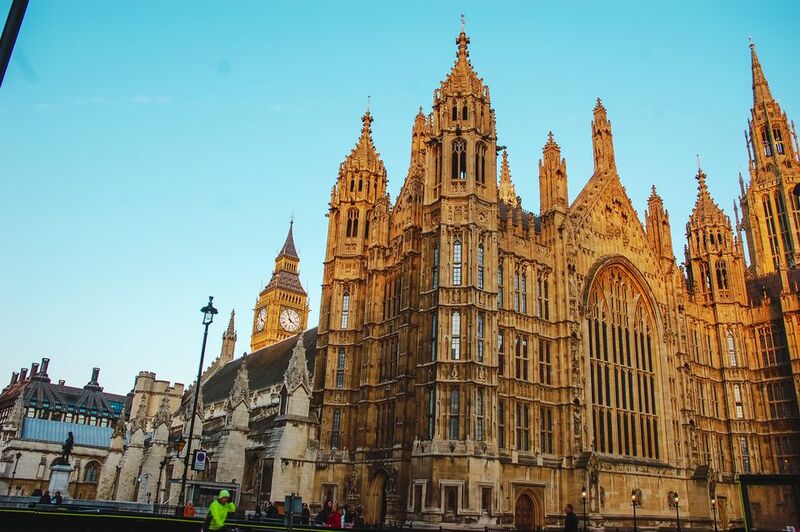 Westminster covers a large proportion of central London including many of the well-known attractions but that doesn't mean there's a shortage of free things to do. In fact, Westminster has plenty of free activities whether you're visiting with friends, bringing the family, or on a date. There's no need to spend any money to enjoy these ideas. The City of Westminster extends from Victoria, where you can visit Westminster Cathedral for free, and Pimlico, where you visit Tate Britain, on its southern border right up past Maida Vale, where you can find Little Venice, to St John's Wood in the north - the area where you can find the famous Abbey Road crossing from the Beatles album cover. In the middle, there's Marylebone which includes the stunning Wallace Collection and the Royal Academy of Music's Free on Fridays performances. Westminster takes in Kilburn, Paddington, and some of Notting Hill to its west, then some of Covent Garden and part of the way down Fleet Street for its eastern border. Quite frankly, it's huge. Each month, there are many popular annual free events in the area from the New Year's Day Parade and Chinese New Year to Trooping the Colour and London Pride Parade. Westminster is a London borough managed by Westminster City Council. The area includes plenty of green space including the huge Hyde Park and Kensington Gardens, as well as Green Park and St James's Park next to Buckingham Palace (although the Royal Parks are not managed by the council). While there you could watch the daily feeding of the resident pelicans. The parks and gardens in Westminster offer space for quiet time with a loved one or simply a bench to sit down and enjoy a sandwich while watching the world go by. Many have children's play areas and others win awards for their flower displays. Speaker's Corner in Hyde Park is a lively place on a Sunday morning for some heated public debate or stroll near Lancaster Gate and collect conkers in September and October for more free fun at home. Kensington Gardens has the been used as a film location many times and you may well recognize the Italian Gardens where Mark Darcy (Colin Firth) and Daniel Cleaver (Hugh Grant) had their water fight in the 2004 movie Bridget Jones: The Edge of Reason. A lovely peaceful location to visit is the Peter Pan statue. Peter Pan's author, J M Barrie, lived nearby and had the sculpture installed one night in 1912 and simply placed an announcement in The Times. While you are near there go out of the park and see 23/24 Leinster Gardens. These look like ordinary houses, well rather nice 'ordinary' houses, but they aren't houses at all. They are actually facades hiding a London Underground ventilation space. This is a fantastic area for free things to do. Not only can you admire Nelson's Column, the bronze lions and the Trafalgar Square fountains but there's also the National Gallery and the National Portrait Gallery for plenty of free indoor art admiration time too. Look to the southwest corner of Trafalgar Square to see the World's Smallest Police Box and at Admiralty Arch, you can find the London Nose. A short walk away is the memorial to Giro the Nazi Dog or head down The Strand to the Savoy Hotel to see the free Savoy Hotel Museum. While it is not generally free to visit the Houses of Parliament or Westminster Abbey there are ways to get inside both if you plan well. You can see the Houses of Parliament for free with a tour arranged by your local politician, if you are a UK resident, or you can go to the public gallery to watch the House of Commons or the House of Lords. As Westminster Abbey is a place of worship, as well as a tourist attraction, everyone can visit for free if they attend a church service. Also in Parliament Square is the Supreme Court which has a permanent free exhibition as well as a well-priced cafe and toilet facilities. Nearby you can enjoy Changing of the Guard at both Buckingham Palace and at Horse Guard's Parade (different times) and there's a later Four O'Clock Parade at Horse Guard's too. This upmarket area still has lots to offer for those of us who don't want to spend any money. Once you've had your photo opportunity sitting between Franklin D. Roosevelt and Winston Churchill, or been to an Auction House Viewing pop into the Royal Institution for their permanent free exhibition and enjoy the singing periodic table! The original Hard Rock Cafe on Piccadilly has fantastic pieces of rock memorabilia on display in The Vault which is actually an old bank vault in the basement of the shop as the building was once a private bank. Over in St James, there's the Cigar Museum inside London's oldest cigar store where you can sit in the chair Winston Churchill used when choosing his cigars. This is by no means an exhaustive list but it should be enough to help you enjoy many free days out in Westminster.